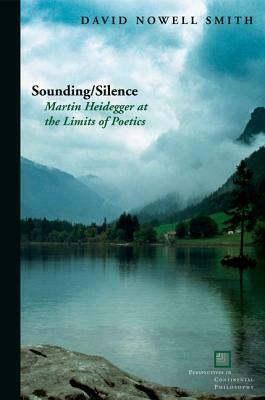 Sounding/Silence charts Heidegger's deep engagement with poetry, situating it within the internal dynamics of his thought and within the domains of poetics and literary criticism. Heidegger viewed poetics and literary criticism with notorious disdain: He claimed that his Erlauterungen ("soundings") of Holderlin's poetry were not "contributions to aesthetics and literary history" but rather stemmed "from a necessity for thought." And yet, the questions he poses-the value of significance of prosody and trope, the concept of "poetic language," the relation between language and body, the "truth" of poetry-reach to the very heart of poetics as a discipline and indeed situate Heidegger within a wider history of thinking on poetry and poetics. Opening up points of contact between Heidegger's discussions of poetry and technical and critical analyses of these poems, Nowell-Smith addresses a lacuna within Heidegger scholarship and sets off from Heidegger's thought to sketch a philosophical "poetics of limit."